Everyone knows the basics of recycling: Anytime an item is recycled is reduces the amount of energy used to make a new thing from raw materials. 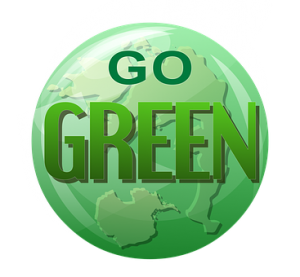 That reduced energy helps promote less greenhouse gases and therefore better for the planet. But there is a lot more about recycling that you should know about. Start with recycling rates. This is how much each country recycles as a percentage of the total amount of trash they collect. Who do you think is number one? That would be Switzerland at 52%. Australia is next at 49% followed by Germany (48%), the Netherlands (46%), and Norway (40%) round out the top five. What about the U.S.? We’re a bit farther down the list with a recycling rate of 31.5%. In terms of saving energy, recycling saves twice as much energy as burning garbage in an incinerator.That’s a good thing because we certainly throw out a lot of stuff. Consider Styrofoam cups. In the United States alone, people throw away 25 billion Styrofoam coffee cups a year. What about jobs? Recycling creates 6-10 times as many jobs as landfills and those incinerators plants. So how much garbage is made each year? The world generates 2.6 trillion pounds of garbage.Here in America, we toss out enough steel each year to build all the new cars that are actually made in America. And the United States throws away $11.4 billion worth of recyclable containers and packaging every year.That is a lot of money that is literally being tossed out in the trash. Your own recycling efforts don’t have to be confined to your soda cans, plastic bottles and papers. You can expand your home recycling by picking the right junk hauler. Junk King Contra Costa is a professional junk hauling service that has been recycling rubbish since they began collecting it over twelve years ago. Junk King Contra Costa doesn’t do the actually recycling. They just make sure the junk gets to the right place. Everything is sorted at the depot and when they have full truckloads, off to the recycling center they go. If you want to step up your home recycling, then you’ll want to partner with Junk King Contra Costa. This entry was posted in Contra Costa Junk Recycling and tagged Junk King, junk removal, Recycling on November 30, 2017 by Junk King. Last updated December 2, 2017 .